The naming of a beer style isn’t always a consistent practice. Sometimes a beer style is named after the place where the recipe was originally brewed as with California common ale or Flanders red ale. 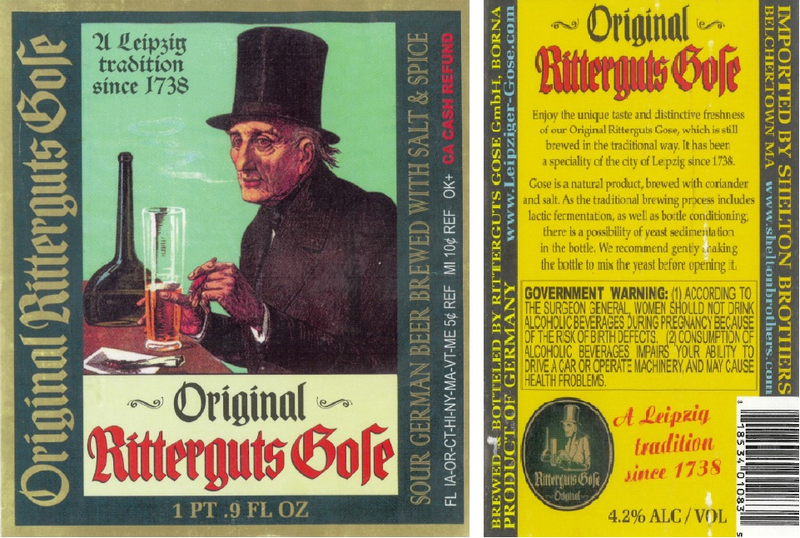 Other times the name reflects the ingredients used in the recipe of the beer; take oatmeal stout or fruit beer for example. And in at least one instance, a beer style is named in relation to the people who drank or popularized it, as is said to be the case with porter, a dark ale of English origin named after the river porters and other physical laborers who favored the brew. Similar to the way porter reportedly got its name, some have suggested that geuze (or “gueuze” in French) was named after the Geuzen, a political group whose beverage of choice was a nice sour, carbonated geuze. Break out your historian hat, it’s theory testing time. For all those not very well versed in pre-independent Belgian history, here’s a little background on the Geuzen. 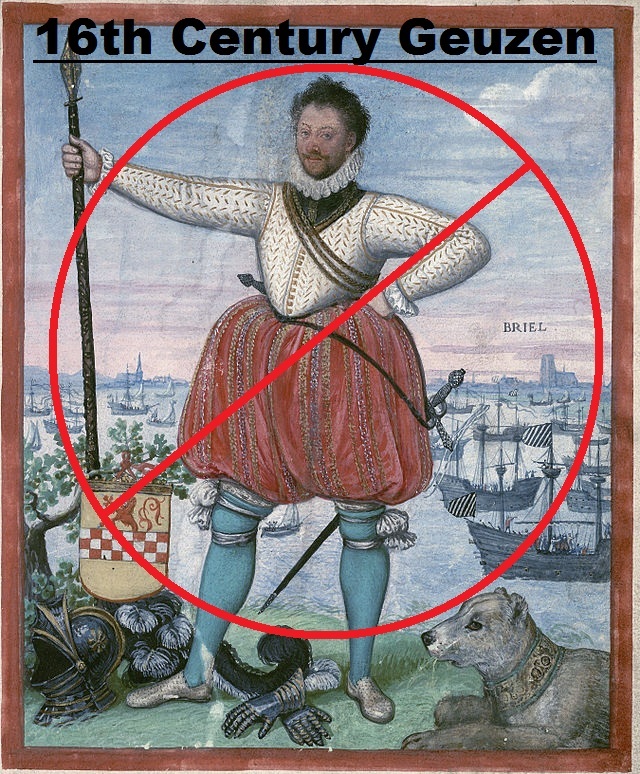 The term “Geuzen” and sometimes “Geus” in Dutch (or “Les Gueux” in French) translates as “beggars”, and, in the historical context we’re concerned with, was first documented as referring to a coalition force of Dutch freedom fighters from the 1560s. Originally composed of noblemen, the Geuzen opposed Spanish rule and religious despotism in the Netherlands during the days leading up to the War of Dutch Independence, a.k.a. the Eighty Years’ War. 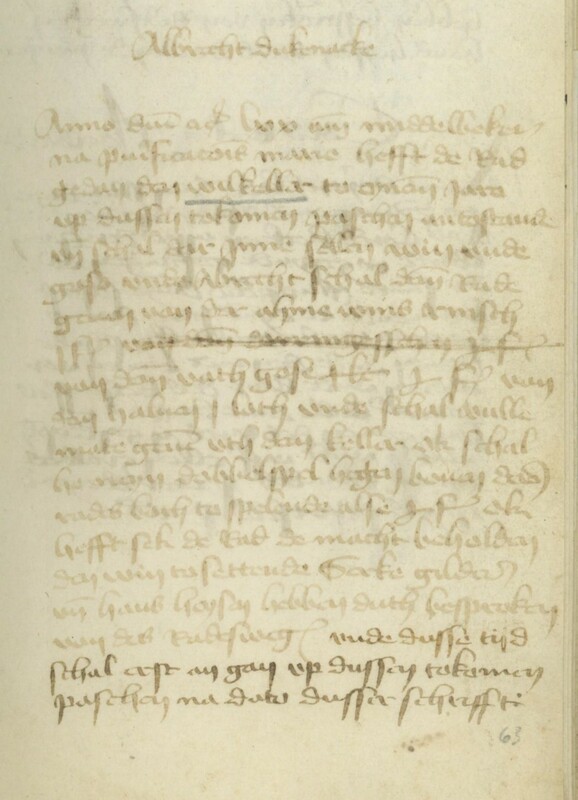 For those who are a bit rusty, here’s the quick and dirty version of the Eighty Years’ War in 80 words or less… The Spanish Empire was calling the shots in The Netherlands at the time (16th century) and were being Inquisition-y jerks about it which caused the Dutch, in part instigated by the Geuzen, to go to war for their freedom. The end of that war resulted in The Netherlands being divided into two regions: in the north, The Netherlands as we know it today won its independence (congrats); however the Southern Netherlands (modern day Belgium) remained under Spanish rule (sorry bros). You might be asking yourself why would well-to-do noblemen revolutionaries be referred to as “beggars”? Well, the story goes that on April 5, 1566, about 250 of these nobles marched to the palace of Regent Margaret, Duchess of Parma, to present a petition of grievances, demanding less taxation and more religious freedom. 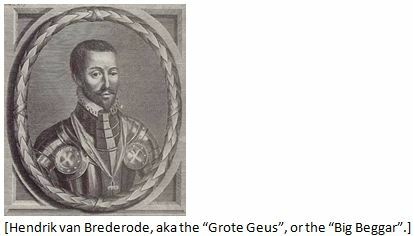 Margaret, who was Governor of the Netherlands under King Philip II of Spain, was initially startled to see such a large group marching on the palace until one of her councilors, the Count of Berlaymont, is said to have remarked, “N’ayez pas peur Madame, ce ne sont que des gueux” (fear not madam, they are nothing but beggars). Three days later, Hendrik van Brederode, one of the leaders of this opposition party, purportedly proclaimed in a speech that if necessary the members of his political group must all be ready to become “beggars” (Geuzen) for the sake of their country. Whether or not Hendrik personally heard and was directly referencing the alleged impolite comment made by the Count of Berlaymont who referred to this band of nobles as “beggars” is unclear. Nevertheless, the name “Geuzen” stuck. 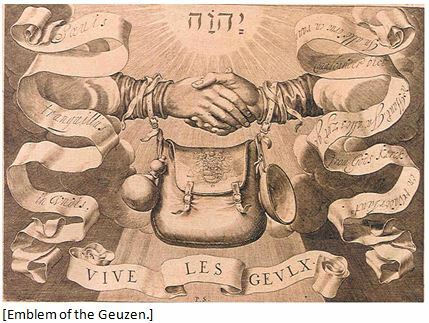 Now on to the connection between the Geuzen (political group) and geuze (beer style). One theory has it that members of the Geuzen confederacy used to carry beer (presumably lambic, but then known as “yellow beer”) in a jug on their belts, and as a result of the shaking of the beer while walking in the sun, a second fermentation was induced creating a carbonated ale, suggestive of the how modern day geuze goes through a secondary fermentation in the bottle. But as lambic history enthusiast Aschwin de Wolf discusses on his website lambicandwildale.com, this story was considered and ultimately rejected by Belgian poet Hubert van Herreweghen in his 1956 book Geuze and Humanism (yes, there’s actually a book called Geuze and Humanism). Ok, so this theory was rejected. But why? 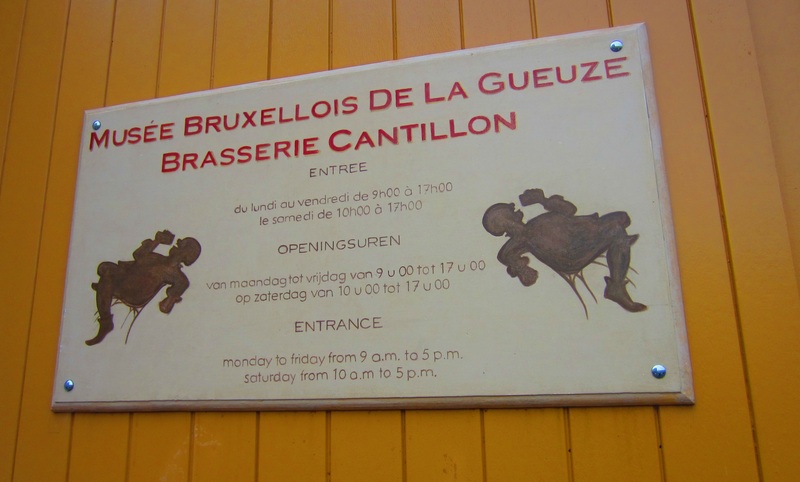 To find out, I contacted Sophie Matkava of The Brussels Gueuze Museum and legendary Cantillon Brewery, who was kind enough to indulge me on my wild geuze chase. We know that geuze is a blend of uncarbonated young and old lambic which is then bottled (lambic is uncarbonated by definition). Once bottled, a secondary fermentation occurs inside the bottle itself, resulting in a carbonated sour beer. Because of this, geuze has the somewhat peculiar distinction of being a beer style that, with rare exception, by definition must be bottled, which of course makes finding a traditional geuze on tap something of a challenge. She’s right. In fact the champagne method and the strong glass required to prevent sparkling beverages from exploding under pressure wasn’t even invented, or at least officially documented, until 1632 when Christopher Merrett presented his paper to the Royal Society in London about it, which is long after the Geuzen were active. Remember, the story is that the Geuzen were carrying around glass jugs of fermenting beer on their hips. The deal with beer that hasn’t finished fermenting yet is that not only is the fermentation process creating more alcohol, it’s also producing more CO2. If the glass containing this still fermenting beer isn’t strong enough to withstand the pressure of the ever-increasing CO2, then, you guessed it, the bottle will explode. So it’s highly unlikely that these Geuzen from the 16th century were strutting around with bottles of still-fermenting geuze swinging from their hips unless they didn’t mind the occasional bottle bomb spraying shards of glass shrapnel in their face after the bottle would explode under the gradually increasing pressure of CO2. Case closed. Geuze (the beer) couldn’t have been named after the Geuzen from the 16th century who are said to have drank a geuze-like drink from glass bottles because the glass bottles of the time weren’t strong enough to hold carbonated beer. Even so, Matkava didn’t entirely rule out the idea that geuze might have gotten its name from a group of revolutionaries called the Geuzen. Eh, just not the Geuzen from the 1560s. Wait a minute. There’s more than one political group in and around The Netherlands calling themselves the “Geuzen“? Yep. The Geuzen Sophie Matkava was talking about were a lesser known group of Geuzen who were active in the late 18th century. Keep in mind that Belgium wasn’t even a country until 1830, and before that it was considered the part of the Netherlands under Spanish, then Austrian, and finally French rule. In 1792, France invaded and took control of Belgium from the Austrians. This new group of Geuzen saw the transition of power from the Austrians to the French as an opportunity to revolt and establish a free and sovereign Belgium. The people who comprised the Geuzen revolution of 1792, Matkava explained, were “people from the city working in guilds”, which included some brewers. Ah ha! So, it appears there was a time that geuze existed as a bottled, carbonated, blend of lambics more of less as we know it today, but it wasn’t formally called “geuze” until 1900-1902, which makes the Geuzen from 1792 possible candidates for originating the name. But Franssens didn’t leave me empty handed. Reluctantly, he went on. “When I nevertheless have to say something on this topic, I mention different possibilities and I indicate as my personal preference the “political” one because there are some historical facts to support that. Just to be clear, when referring to “Liberals” in Belgium, we’re not talking about those who conservative U.S. radio personality Rush Limbaugh would condemn a “Liberal”. In English-speaking countries, the Belgian Liberal Party would be closer to moderate, fiscal conservatives— a party appealing to business people. In Belgium during the mid-1800s, the Liberal party aimed to curb the growing power of the government and the Roman Catholic Church, a theme reminiscent of the Geuzen of the 16th century. 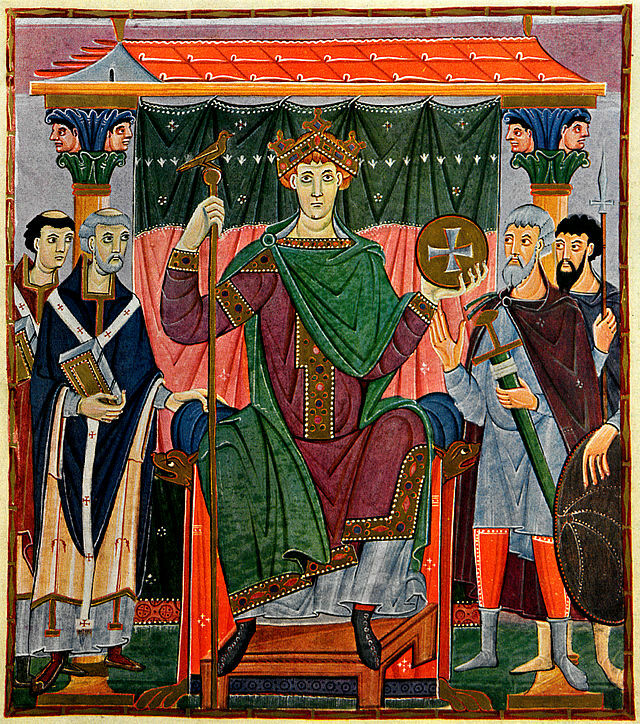 A “Catholic Party” was formed and politics in Belgium became polarized, with the Catholics on one end, and the Liberals, a.k.a. the Geus, on the other. 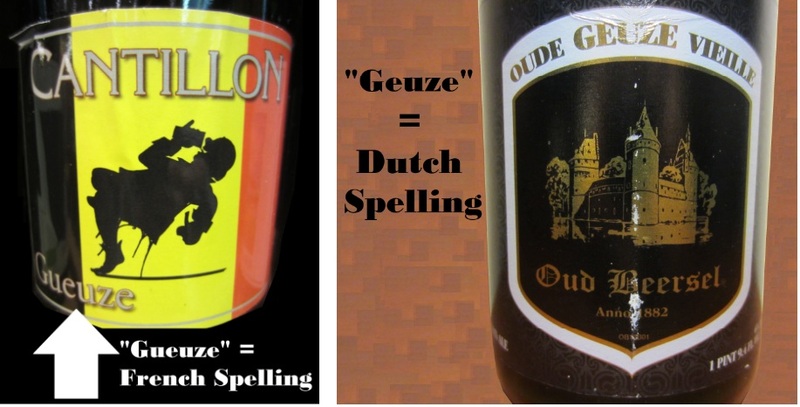 It seems no matter what story we’re told about how geuze got it’s name, there is an inescapable link to the Geuzen. And though it appears geuze as a style of beer did not exist until the 19th century, it is almost certain that without the freedom fighting Geuzen revolutionaries of the 16th century, geuze would not be called geuze. 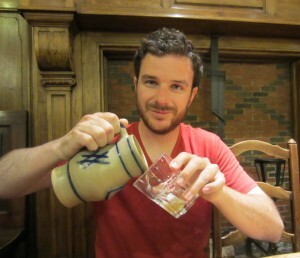 And for my part, a geuze by any other name would not taste as sweet. Or sour. You know what I mean.